Seymour Duncan AHB-1b 7-String Phase I Active Bridge Humbucker is a direct retrofit for passive 7-string humbuckers made by Seymour Duncan and DiMarzio. This Blackouts humbucker provides extended frequency response with less compression for your 7-string electric guitar. 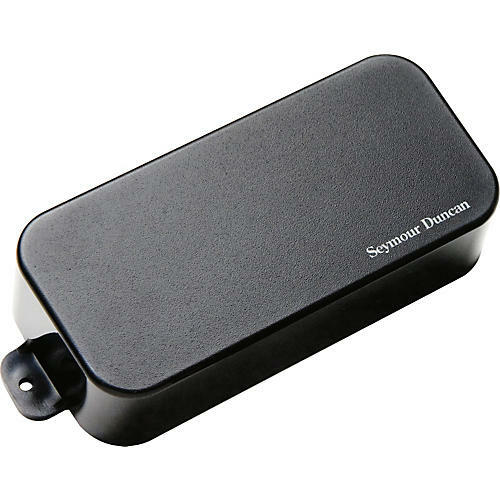 Seymour Duncan engineers have captured the tone players want in an active pickup with the benefits of balanced inputs. Not only do Seymour Duncan Blackouts have less hum than most active humbucker pickups, they also have more lows, more highs, and more output. Simply put, the Duncan Blackouts have more tone than most active pickups. Players will find far fewer problems with hum, especially near computer monitors and fluorescent lighting.